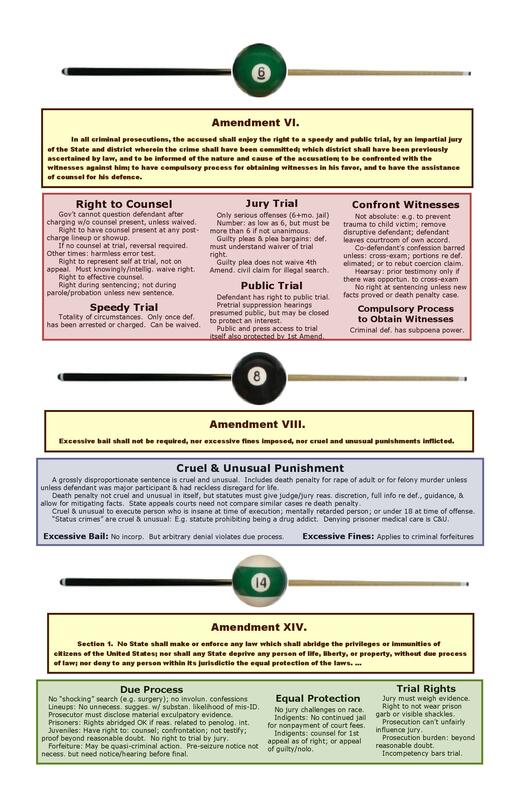 Here is a cheat sheet for Criminal Procedure that can be printed out on two 11 x 17″ sheets of paper. The charts outline the Constitutional protections for criminal defendants, with both the text of the Amendments and the rules that have developed from them. 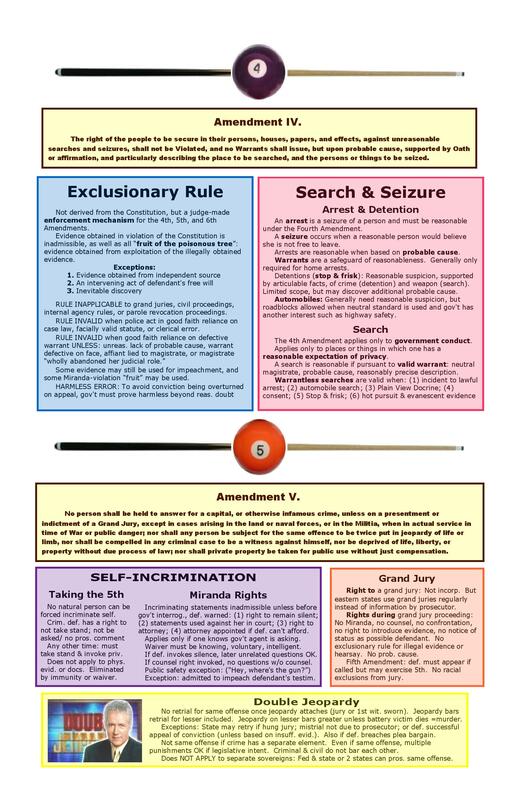 The first chart includes the Fourth Amendment’s protection against unreasonable search and seizure, and the exclusionary rule. Note that the exclusionary rule is not actually derived from the Constitution, but is an enforcement mechanism created by the courts, and it applies to evidence obtained in violation of the Fourth, Fifth or Sixth Amendments. This sheet also includes the Fifth Amendment’s protection against self-incrimination and double jeopardy and the rules for grand juries. 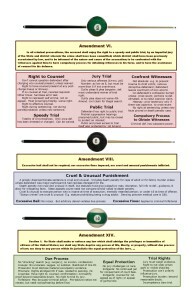 The second chart lists the Sixth Amendment protections, including the right to counsel and trial rights. Also presented are the Eighth Amendment protection against cruel and unusual punishment and the Fourteenth Amendment’s guarantees of due process and equal protection.